This beautifully-detailed Limoges enamel plaque depicts famed French noblewoman Madame de Pompadour, after a well-known portrait by Quentin Delatour. 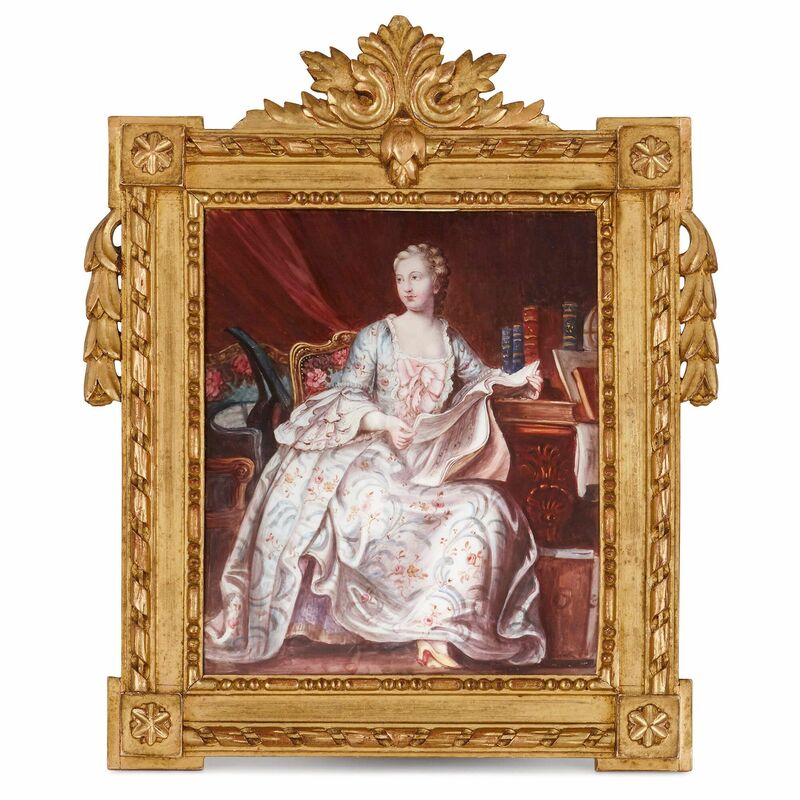 Quentin Delatour's famous portrait of Madame de Pompadour is the subject of this fantastic small enamel plaque. Delatour (1704-1788) was, along with Francois Boucher, one of the pre-eminent painters of the French Rococo period, and was known especially for his portraits of important Enlightenment figures, including Voltaire, Rousseau, and, of course, Louis XV himself, all of which he completed in pastel. Delatour's portrait of Madame de Pompadour, Louis XV's mistress and an important figure in the history of European art, currently forms part of the collection of the Louvre Museum in Paris. 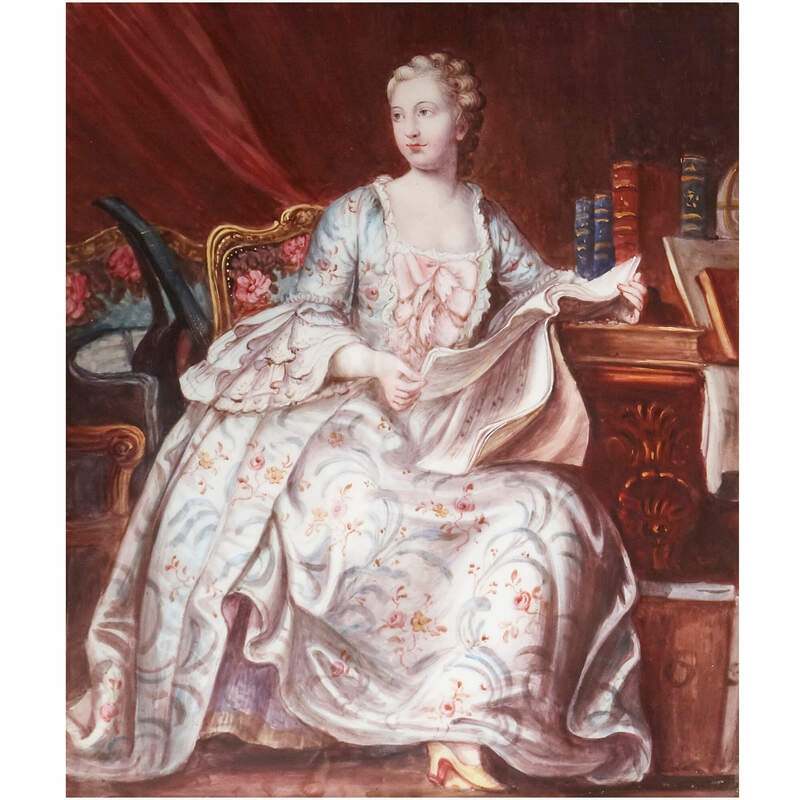 This enamel plaque faithfully captures much of the essence of the original, including the sense of learnedness, refinement, and the sumptuousness of Madame de Pompadour's clothing. 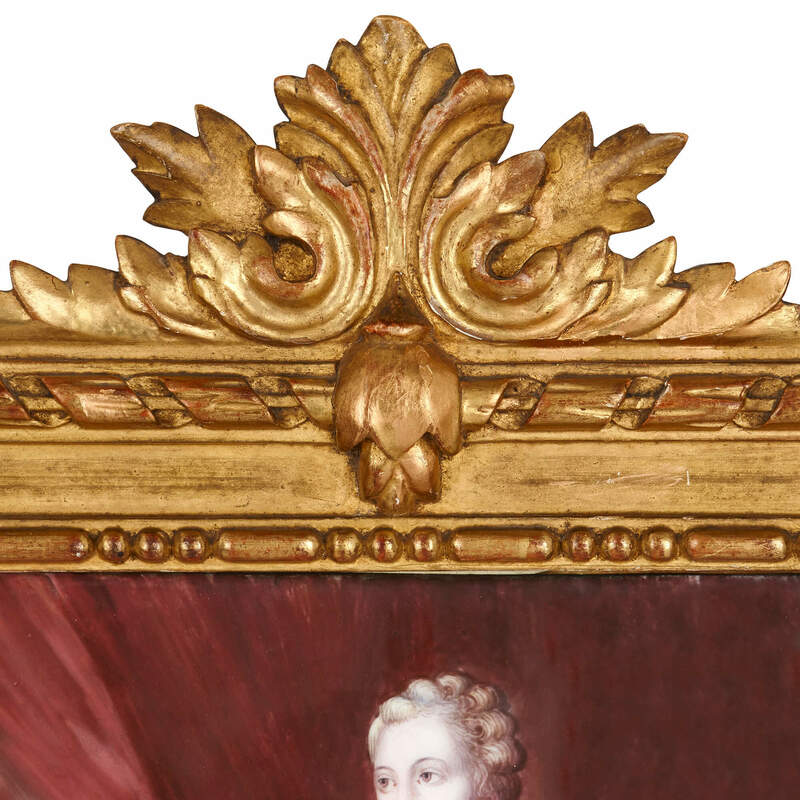 The plaque shows Madame de Pompadour seated in a richly-decorated interior, reading a manuscript. On the desk beside her there are several books, including copies of the Encyclopédie, Montesquieu's De l'esprit des lois, Voltaire's La Henriade, a globe, and Le Traité des pierres gravées by Pierre-Jean Mariette. The quality of detailing required to render these elements in enamel, in miniature, required a level of skill for which, in the early 19th Century, the Limoges enamellers were renowned. The town of Limoges had had a long and illustrious association with enamelling, dating back to the High Middle Ages in France. 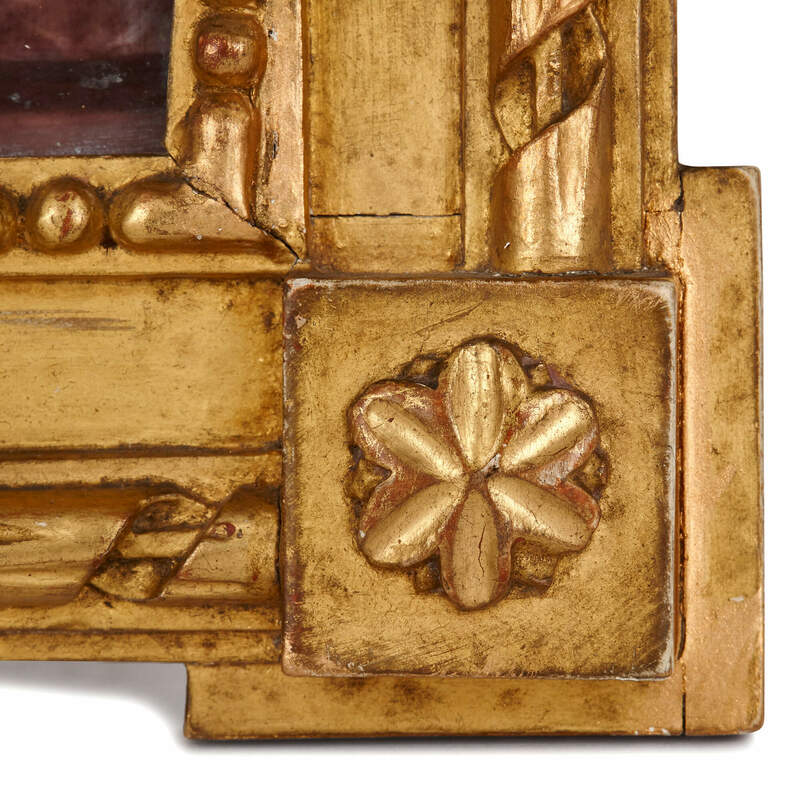 The plaque is set inside a carved giltwood frame. It makes a near pair with this other Limoges plaque. Our blog Madame de Pompadour: Royal Mistress & Patron of the Arts gives more details about the life and influence of Madame de Pompadour.